FRED DE SAM LAZARO, correspondent: The shiny red T-bird convertible is a nod to its owner’s Detroit roots. But it’s in San Francisco that he first made a name for himself. He had quite a name to begin with. 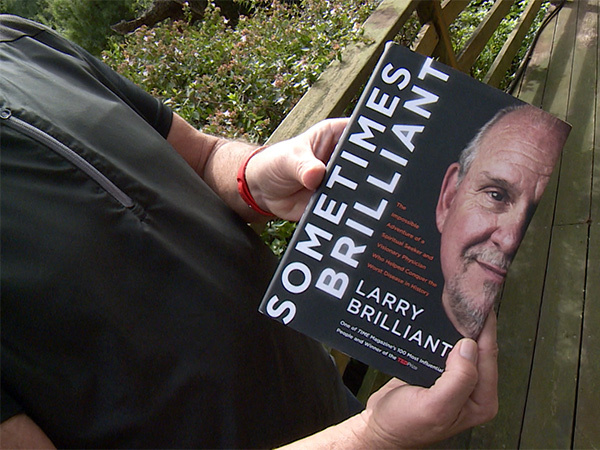 LARRY BRILLIANT: It’s so arrogant to have a name like Brilliant that I put “sometimes not so (brilliant),” and that’s where I sign. DE SAM LAZARO: The memoir Larry Brilliant is autographing chronicles a life of unusual paths: a civil rights and anti-Vietnam war activist and hippie who helped eradicate small pox from the world. 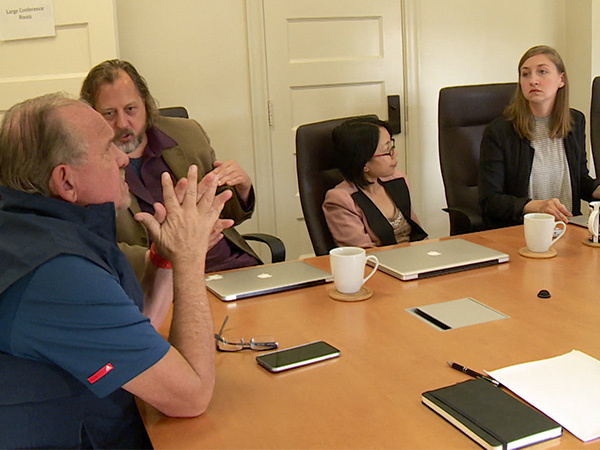 Today he's an adviser to Silicon Valley philanthropists who are helping him tackle other major diseases. DE SAM LAZARO: It all began in 1969 in San Francisco, where Brilliant had come for an internship after medical school and volunteered for an unusual assignment at the recently closed federal prison on Alcatraz. 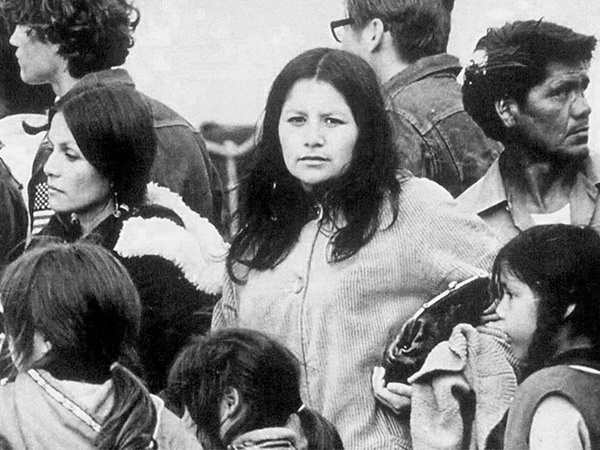 The island had been taken over by a group of about 100 Native Americans, one of whom was about to have a baby. BRILLIANT: She wanted to give birth on Indian-liberated land. DE SAM LAZARO: He delivered the baby and returned from the island a month later covered in the blood from a patient he was evacuating to a San Francisco hospital. That got him on the evening news. BRILLIANT: That night somebody from Warner Brothers saw me on television, and they called me the next day and they said, we’re starting a movie in two or three days. We're going to be gathering at the same place I got off the boat, and it’s going to be a movie about hippies and rock-and-roll. It’s going to have the Grateful Dead and the Jefferson Airplane and Pink Floyd, and we have one doctor, but we think we ought to have two doctors who are rock doctors who can manage the tent for anybody who gets hurt and also can play an extra. DE SAM LAZARO: The movie [“Medicine Ball Caravan”], a sequel to the highly successful Woodstock film, was a box-office flop. But Brilliant forge friendships with some of the era’s iconic figures. Wavy Gravy at Woodstock: What we have in mind is breakfast in bed for 400,000. DE SAM LAZARO: They included the Woodstock emcee who became famous in clown costume as Wavy Gravy. BRILLIANT: This is Wavy Gravy. DE SAM LAZARO: At 80, he’s slowed only physically. 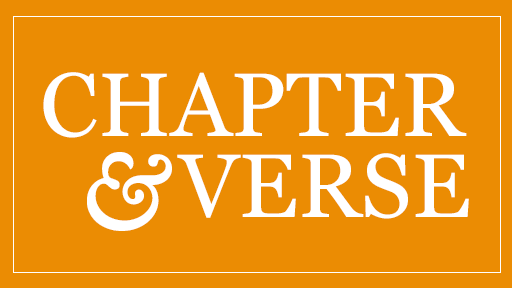 The friends still gather often and recount their adventures, including a journey across Europe toward India. They had planned to feed flood victims in what was then East Pakistan, now Bangladesh. WAVY GRAVY: And the idea was that we had so much media from doing the free kitchen at Woodstock that if we got there and started feeding people that it would embarrass the government: “My God, there’s hippies doing it. We better do it better!” And that was the plan. But then the Indo-Pakistani war broke out, and we hung a left to Kathmandu. 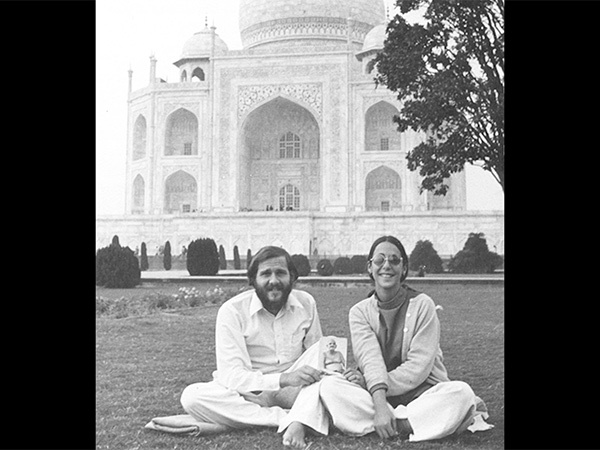 DE SAM LAZARO: For Larry Brilliant and his wife, Girija, this was a transformative journey. 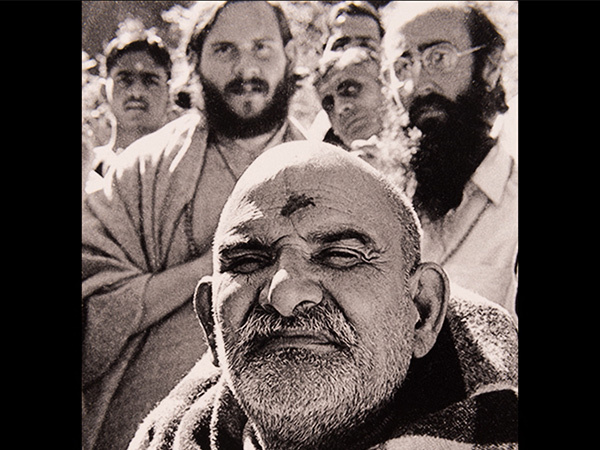 They became disciples of a spiritual leader or guru, Neem Karoli Baba. Were you able to converse with him in Hindi? DE SAM LAZARO: They studied meditation and Hindi, a big asset for the assignment he would soon receive from the guru: to help eradicate small pox in India and Bangladesh, which were among last holdouts for the virus that had killed half-a-billion people through history. BRILLIANT: During the summer of love, when I was cavorting with my friends, two-and-a-half- to three-million people died around the world from smallpox. Bad disease. Most people thought it could never be eradicated. We had had a vaccine for 200 years, and what we were doing is we were vaccinating everybody. DE SAM LAZARO: That strategy worked in the West and developed countries but could never work in India, he says, with a population then of 600 million people, some 20 million of whom were on a bus or train on any given day. The hippie doctor coaxed his way into the World Health Organization team that took a different approach: tracking down every single infected person and vaccinating everyone around them, creating a so-called “ring of immunity” so the virus couldn't spread. It was a herculean task. BRILLIANT: We had to visit every house in India every month, for 20 months. We made 2 billion house-calls. One-hundred-fifty-thousand people. Doctors from 170 countries. Every religion, every race, every language, every geographic area, all working together. DE SAM LAZARO: Small pox became the first disease ever eradicated from the planet. 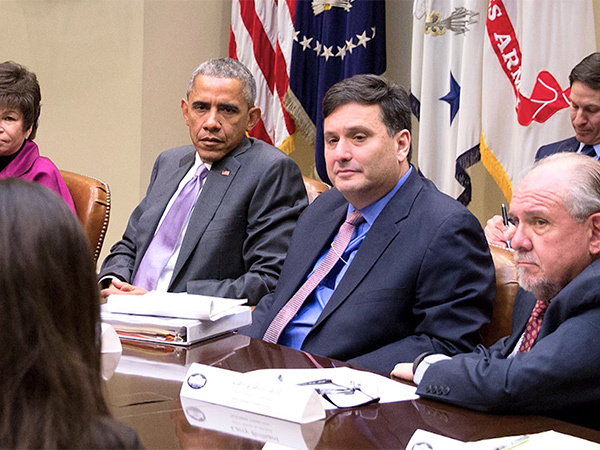 Brilliant went on to become a leading expert on infectious disease—a consultant to the White House most recently when Ebola threatened to escalate. Meeting discussion: What is it going to take to prevent an outbreak? DE SAM LAZARO: Today Larry Brilliant heads a group called the Skoll Global Threats Fund, which is focused on issues like climate change, nuclear proliferation, and pandemics. It is an affiliate of the Skoll Foundation, which is also a funder of some PBS programs. Meeting discussion: It’s about detect and report. DE SAM LAZARO: These epidemiologists are setting up pilot studies to gather data in 28 countries, trying to determine early patterns of how a disease breaks out. Larry Brilliant speaking at meeting of epidemiologists: Wouldn’t you like to create advisory panels and partnerships with tech companies, major universities, epi departments? DE SAM LAZARO: Brilliant has raised millions of philanthropic dollars for other efforts that include the Seva Foundation, an eye-care charity now in several countries that he started with Wavy Gravy. 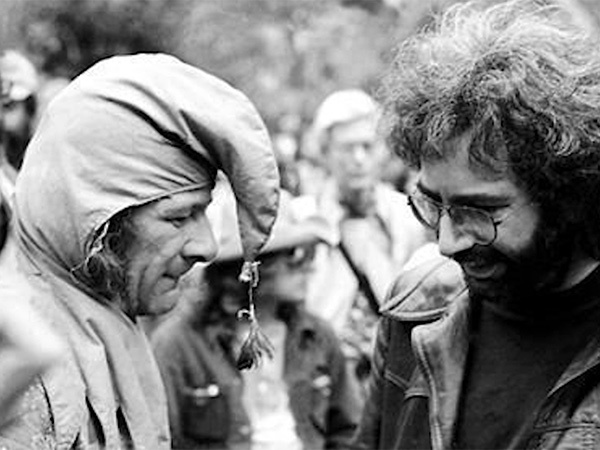 WAVY GRAVY: It’s probably one of the coolest thing that anybody could do is to reach around the world and help somebody that’s blind not to be blind anymore, and we’ve done that three-and-a-half-million times. 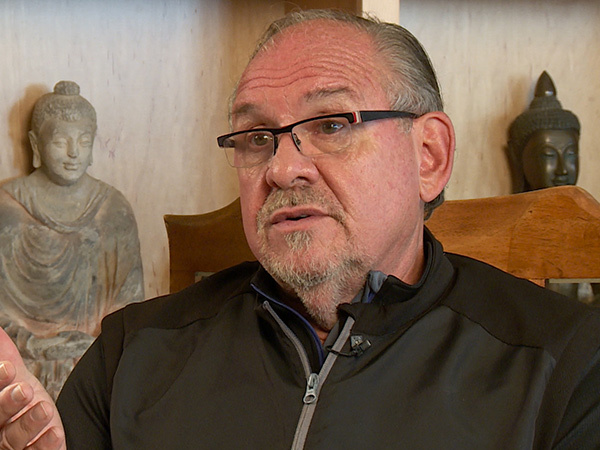 DE SAM LAZARO: After the small-pox campaign, Larry Brilliant began forging ties in Silicon Valley, where he's been a kind of guru to many tech industry leaders, including the late Apple founder, Steve Jobs. The two men met in the seventies here in India, where both had come seeking spiritual harbor. And that Himalayan ashram experience remains a guiding influence today for Brilliant and his wife, Girija, who retains the Hindu name given to her by their guru. DE SAM LAZARO: The Brilliant home is replete with symbols that reflect a wide embrace of all religions. BRILLIANT: There’s so much to learn about ethical behavior in the Bhagavad Gita, the Talmud, all of the Old Testament, the New Testament. I love [the Gospel of] Mark. It’s hard for my Jewish friends to understand, because I’m Jewish. Why do I feel so close and like Jesus so much? To me clearly the greatest man that ever existed. And in Islam. There’s so many wonderful things in Islam. DE SAM LAZARO: It’s a perspective forged in the spirit of the sixties, a decade of social upheaval but one that he says was filled with hope for harmony. DE SAM LAZARO: From the deck of his home, I asked him to read a passage from his book that summarized the era. DE SAM LAZARO: The book is called Sometimes Brilliant. For Religion & Ethics NewsWeekly, this is Fred De Sam Lazaro in Mill Valley, California. Dr. Larry Brilliant first achieved notice as a young hippie doctor in San Francisco in 1969. 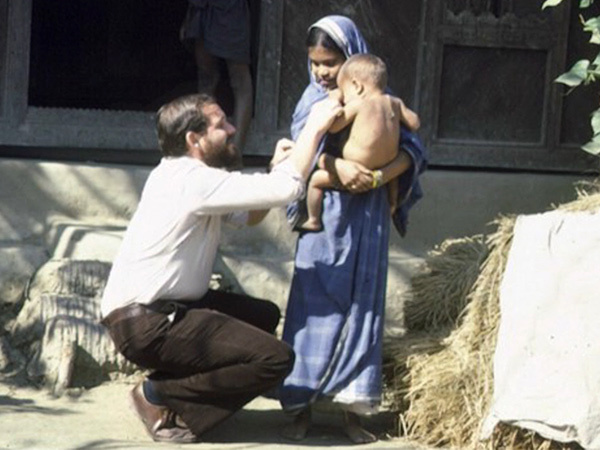 As correspondent Fred de Sam Lazaro reports, Brilliant became a disciple of an Indian guru and worked on helping to eradicate smallpox, a disease that once killed millions of people every year. Today, Brilliant is a guru to many elites in Silicon Valley and a philanthropist who embraces the ethical wisdom of many faiths, working to combat global threats and scourges such as pandemics, climate change, and nuclear proliferation. His new memoir is called Sometimes Brilliant: The Impossible Adventure of a Spiritual Seeker and Visionary Physician Who Helped Conquer the Worst Disease in History.